Update: Elance has now merged with Odesk to form Upwork. The platform is more or less the same, and operates in the same manner. The advice below is still applicable. Good luck! Surprisingly, the world of freelancing had eluded me until recently. It was by complete accident that I stumbled across a website called Elance – a kind of eBay for freelancers. Fuelled by enthusiasm and a rapidly declining bank account I dove in headfirst and was astonished at the earning potential of the online freelance market. 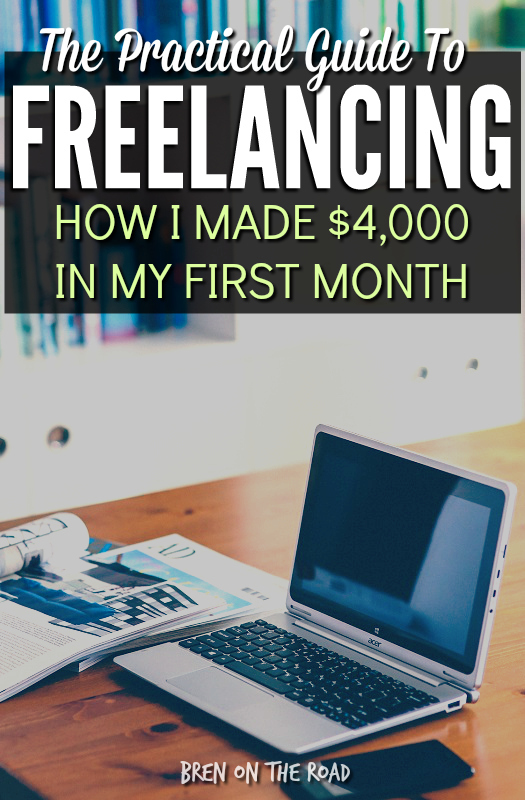 Below I’ll detail how I went from an empty Elance profile to making over $4,000 in my first month working as a writer online, all without an ounce of freelance writing experience. Freelancing is similar to contract work. It’s basically marketing yourself as an individual, offering your skills to businesses to do a task. You have no boss, no office hours and no public holidays. You work for yourself and it’s up to you to find work and pitch yourself to clients. Elance is an online marketplace for freelancers. It’s a place where both freelancers can find work and businesses can find freelancers to work for them. 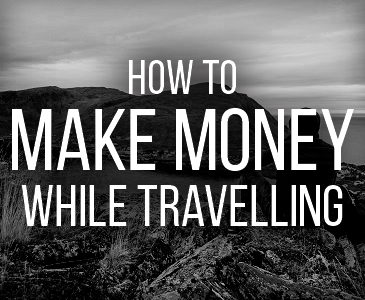 As a traveller freelancing is an ideal income source. 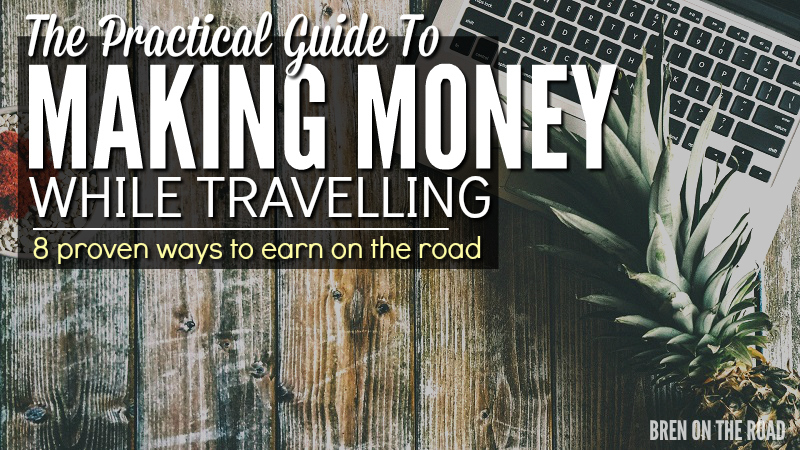 If you have any desire to travel long term and get out of the office you need to start building a freelance income. You can work anywhere, anytime with just a laptop and wifi. This is where sustainable long term travel starts! So there I was, so easily uninspired and seconds away from clicking the big red X in the top right hand corner when I caught sight of the “Writing and Translation” category. I vaguely remembered someone telling me about people making a decent wage working as a writer online and decided to check the listings out. One thing about me is I’m super stubborn. When someone tells me I can’t do something it really annoys me, and no matter how stupid it is I’ll generally do everything I can to prove you wrong. What!? You said I can’t eat a whole bag of french fries through my nose?! That’s it. McDonalds, now. You’re driving. So with my stubbornness in hand I started bidding. Unfortunately for me what Google had told me was true. Every single job was being swamped with lowball bids from India and the Philippines. Truth is, I did want to give up at that moment, willing to accept the fact that they were all probably smarter, more hard working and more experienced than I was, not to mention they were much, much cheaper than me too. Nonetheless, I soldiered on, bidding for about 15 jobs and getting awarded exactly zero of them. After thinking about this for a while, I realised that the most likely reason people weren’t interested in hiring me was because I had no feedback. I also looked like a hamster in my profile photo. But without at least one feedback, there was no way that they could tell whether I was a rockstar writer or a complete illiterate idiot. On every job that I bid for, the writer who ultimately won the job had at least a couple of jobs completed and at least 4/5 star feedback. So I asked myself, what do businesses do when they’re trying to build up customers? They give stuff away for free! The next 3 jobs I bid for, I decided not to write my usual “I have an accounting degree and I’m a very hard worker and I love a challenge and I won’t let you down and please hold on while I think of something even more boring to tell you”. Instead, I decided to do part of the job for free as my proposal. I had no idea what a ‘creative brief’ or ‘SEO’ was. I still don’t. I also bid quite a high price. I bid $250, which amounts to $25 for a 250 word blog post. For a new freelance writer that’s a very high rate. Most writers when starting out work for around $3-$5 for a 500 word article. Why did I do this? Simple – to stand out. Buying psychology 101 – high prices give a perception of high quality. Also, I’m from New Zealand where the minimum wage is $13.75 an hour. If I’m supposedly a qualified accountant willing to write for $3 an hour in a country where any other job would earn me 5x that, then the client will probably conclude that something is off, i.e. that I’m a moron. To my surprise, the whole thing worked perfectly. Within a couple of days I was awarded the job and it’s embarrassing how proud I was. I really couldn’t wait to get started. I was now officially a freelance writer, and had a client to prove it! Lesson: Bidding high helps you stand out, and tells the client you’re not some desperate wannabe (even though you are). On this job I could see that the majority of the bidders were only bidding $3-$5 per post, and many were from India and Pakistan meaning they probably weren’t native English speakers. The highest bid on the job was around $300, so I bid just under that, making me stand out but not making me look extravagantly expensive. I also need to stress that you must get a 5 star feedback. A 3 star feedback is probably worse than having no feedback at all. So how do you do this? Firstly, strive to be the best freelancer your client has ever worked with. Submit work before the deadline. Write 700 words when you only needed 500. Make it clear that you will rewrite and edit your piece until they are 100% satisfied. Put effort into your writing and make your articles the best your client has ever read. In other words, exceed every expectation. Then, make it clear you need a 5 star feedback. I’m glad you liked the final article. If, for any reason, there’s still a part of it you’re not quite 100% happy with, please let me know and I’ll rewrite it until it’s exactly what you’re after. Remember, finding good writers on Elance is a complete headache for most editors. Well established freelance writers earn up to $500 an article, so for $20+ they don’t tend to expect too much. If you’ve been blowing their socks off with your professionalism and commitment to quality throughout the project, they really should have no problem leaving you the 5 star feedback you’ve asked for. My email course is designed for those looking to take their freelance writing career to the next level. We'll talk about finding success on freelance sites, crafting proposals, niche selection, simple tips to increase your job wins, building a healthy client base and more. It's easy to follow with real-life examples, and 100% free. Simply enter your details below if you'd like to get started! As you can see, of the 13 bidders 4 are from Pakistan, 7 are from India, 1 is from the Philippines, and 1 is from New Zealand (me). Assuming the job poster was looking for a native English speaker, he can choose either me or…me. Lesson: Don’t get disheartened by a large number of people low bidding on jobs. While many of them may be great workers, Elance is renowned for having a large number of English second language speakers submitting poor quality writing that can’t be used. For this reason many job postings explicitly ask for native English speakers only. In this case I was the only native English speaker that bid, and eventually I was awarded the job. Funnily enough, almost every other bidder was also a Chartered Accountant and some had CFA’s/MBA’s, making them far more qualified than I was (probably way smarter, too). They also were cheaper than me – my bid of $550 was far higher than the average bid of $180, which reinforces my earlier point of bidding high and not selling yourself short. After submitting around 10 bids for travel articles, food articles, fitness articles, sports articles and pretty much any job that got listed, the one I got a hit on was a collection of articles for a mens lifestyle blog (hooray). 10 articles at $11 each. Granted, a significant paycut from my previous gigs, but was a job nonetheless and I actually had a lot of fun doing it. Lesson – You can land jobs outside your niche – you’ll probably get paid less and need to offer a freebie for the first few, but it’s worth it for the extra experience and feedback. Research well and strive to submit the highest quality work that your client has ever seen. Soon you’ll have a good amount of experience in different niches and be able to command higher prices. In my proposal you’ll see that I made sure to address every requirement listed in his posting. What you can’t see in the screenshot is that the job budget was up to $5,000, so I knew he was willing to pay good coin for the right candidate. I spent most of the evening researching and putting together the sample notes requested in the posting, as I knew that would most likely be the deciding factor. I wanted to submit something exceptional. The client emailed the next day saying how my proposal and sample notes had really stood out from the rest, and awarded me the job. The first job was a trial, which involved writing a single chapter of notes for $230. I did everything I could to make it the first set of interesting accounting notes in the history of mankind (I failed, it’s not possible), and he later offered me a full 10 chapters, for which I negotiated a price of $2,900. Lesson – Don’t be afraid to spend time on your proposals – it’s like preparing for a job interview. I’ve found that the clients who ask for specific samples in their listings are generally the ones that require writers with a very specific expertise, and if you can deliver on this the payday can be pretty good. Total : $4,040 USD worth of work awarded in just over a month. I was probably working around 10-15 hours a week. Had I been working on them full time this could have been easily completed in around a month. I was earning around $25-$30 an hour on average, which is not far from what I was earning when working full time as an accountant. The interesting thing is, this is considered peanuts for a writer! Many established writers earn closer to $100 an hour, some substantially more. While I’m a long way from those rates, the potential itself is exciting. Bid for jobs within your expertise (particularly for writing). This will be your best shot for producing quality writing and building up your feedback. If you’re a personal trainer bid on fitness articles; if you’re a banker bid on financial articles; if you’re a nurse bid on health articles etc. You don’t necessarily need to be a professional – you could bid on parenting articles, travel articles; I’ve even seen several jobs for gamers to write articles and reviews on Playstation games, so there really is something for everyone. Take whatever jobs you can get at the start. You get 40 bids on Elance when you start out – you should use all of them. With my first 40 bids I got awarded 3 jobs, and then I paid the $10 fee for another set of 40. If you’re serious about building an income, you’ll need to put a decent amount of effort into marketing yourself and bidding for work. Once you get some decent feedback you will be able to be more selective with the work you accept. Don’t limit yourself to writing – Writing can get boring, so it’s nice to have something else to work on to give yourself a break. For web developers, programmers and IT nerds in general, the freelance world is a goldmine for you. 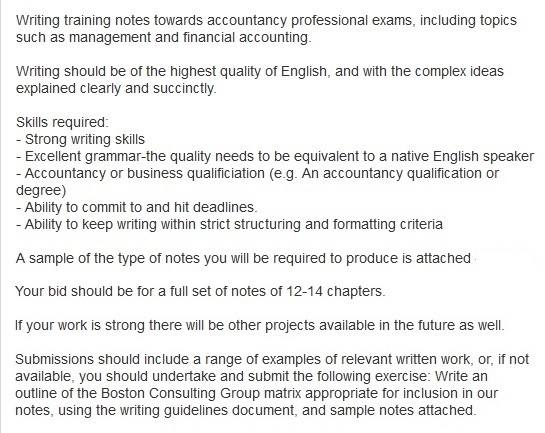 I’ve flirted with the idea of finding accounting work but I can’t bring myself to do it just yet. Still gives me nightmares. Another great moneymaker is translation – if you speak multiple languages there are people that will pay big money for accurate translation work. Write for free – I’m a big advocate of writing articles for free and including them in your proposal, at least when you’re starting out. If anything, it’s a great way to practice your writing and if you don’t get the job you can still add the piece to your portfolio. For example, if the poster requires 10 articles on the benefits of green tea, research and write an article on the topic. Even if you don’t win the job, convert the file to pdf and add it to your portfolio as “Green tea article written for established health magazine”. Win win! Look at other successful writers. See how their profiles are laid out and what they include in their portfolio. Look through their resume, their photo and the profile layout in general. Use this as a model for your own profile. So anyway, that’s how I started out in freelancing and I was pretty satisfied with my results. What’s been great about it is that I’ve developed a new stream of income that I can earn while travelling, which is always the goal for me. I’m sure there are many different strategies that people use to freelance and if you’re willing to share I’d love to hear them! Also, I’d be keen to hear how the above strategies of mine work out for you if you decide to use them. I’ll probably write another post on the topic in a few months, hopefully with a new and improved approach to share with you all. Hopefully this post has showed you that it really is possible to make money on Elance; maybe not millions, but enough to make it worth giving a try. Set up a free account at Elance (Upwork) and spend some time creating your profile. Then, start bidding like crazy on any writing jobs you think you can do a decent job of. It might be writing about parenting, about working out, about dieting, about insurance, about cars, about computers; anything! At the very least you should use all of the 40 bidding credits that you start out with. With some effort and a little bit of luck, you should be able to land at least one job. Then, do an unbelievable job. Exceed every one of your client’s expectations. Let them know that you’re committed to quality and will produce exactly what they need in order to get a 5 star feedback. Finish the job, get paid, request a 5 star feedback and blow the payment on something to reward yourself. My email course is a more in-depth guide on how I went from zero experience to making thousands of dollars per month in freelance writing income. No hype or fluff - just real examples, real help and real advice. Click the green button below if you'd like to get started. Hey! Thanks for your interest. My email course is designed for those looking to take their freelance writing career to the next level. We'll talk about finding success on freelance sites, crafting proposals, niche selection, simple tips to increase your job wins, building a healthy client base and more. It's easy to follow with real-life examples, and 100% free. Simply enter your details below if you'd like to get started. Thanks! That was a great piece of advice Bren, though I’m quite happy with my office work as of now, but it pulls the thrill in me on how one can earn extra income by working few hours online. Looking forward to read this type of articles from you soon sir, will surely try freelancing one of this day’s. Just came across your blog today and was totally blown with your post, I was just so amaze how powerful God is that he blessed you with that skills to write, not just for you to earn but to shape minds and touch hearts. Hi Chad, thanks for the kind words, freelancing can be a tough start but the freedom really makes it worth it. Give it ago, you’ve nothing to lose! Yeah I was thinking what a great article and was getting all excited (as I’ve also been struggling to make any headway at Elance) until I spotted the Elance affiliate link and was thinking hmmm. Went to Elance to check and yep they run an affiliate program. This is what gives Internet Marketers a bad name. Most of the time it’s just a scam. Anyway the article was still useful in other ways even if it’s not representative of the actual Elance experience..
That would depend on what you consider an “actual Elance experience.” This article is perfectly representative of my Elance experience, which I would certainly consider “actual” and real. Also, I make no secrets about affiliate links on this blog – they’re clearly disclosed in my Disclosure Policy in my footer, on my Resources Page, and in several other places. I write with 100% honesty, and with or without affiliate link, my experience on Elance and this article would be exactly the same. Do try my approach – many people have had success with it. It works! Hey Bren I’m glad to read your blog and To be frank right now I’m a beginner.Could you please help me out.Just now signed up on elance.com and could you please help to take a boost start on my journey. All the advice I can give is in my article above. Dear Bren! Really inspiring & worth reading. I was interested in online job from a long time but never tried seriously. After reading your piece I’m planning to start freelancing soon. thanks sir bren, you inspire me and motivate me today! congrats! Great! Let me know how you go. Great article man, pretty inspirational! Well Done!! Hi Bren! 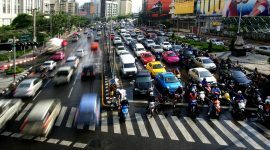 I came across one of your posts (10 reasons why The Philippines should be your first stop in Asia) and was inspired by those kind words you said about our country. Thank you very much! Anyway, thank you very much for the encouraging words about the Philippines and I hope that next time you’re here, you’ll enjoy not only the beaches but also the mountains and the festivities in each province. Your enthusiasm for work and life is contagious. Keep up the good work! Hi! Congrats on getting your first writing job! Once you get the first one it all becomes so much easier, as I’m sure you’ll find out. I can’t wait to return the The Philippines and Filipinos all around the world have flooded me with suggestions of places to visit. I’ll be sure to squeeze in some festivals and mountain climbs for sure. It sounds like you’re taking your life in a new direction so best of luck, I’m sure you’ll do great 🙂 I’m no expert, but if you have questions don’t hesitate to shoot an email my way. Thanks for reading! Wow, this is really good! I’ll be sure to take some advice from you. I’ve been on elance for a few months now but I’ve never gotten a job on it, but I was never sure why. I’m a native English speaker and an excellent Writer. I have been crushing it on fiverr.com, but on Elance, nothing. Now that I’ve read this lovely post of yours, I will certainly give it another try. GREAT ARTICLE!!! !, thank you so much for these tips I am definitely going to utilize them. I’ve been on Elance for a few months and have not landed any jobs. Definitely will be using your strategy and will let you know the outcome. I just read your article, did exactly what you said, and got my first job. Thanks! That you provide such top notch service (writing and clients service) to your clients makes it easy to see how you’d keep their loyalty! I’m curious – how did you manage increasing your fees to your first clients (once you were established), without spoiling that relationship? You simply tell them you would like to keep working with them but you need to raise your rates. Some will stay with you and some will let you go. this is some really great advice! thanks. i’m also from NZ (BIG UPS) and have been travelling for the last couple of years..I have the bug like you, my family live in both Europe and NZ and I know that what I really want in life is to have the freedom (and money) to be able to travel back and forth (ideally six months in one place, six in the other! what a life). I’ve been looking recently at ways to earn money that mean I can continue travelling, being creative and doing the things I love, without being sat at a desk all day, which is what keeps happening to me in-between travel times. I’ve been thinking about going into freelance translating but i also enjoy writing so I’m pretty stoked that I came across your website. btw you missed stoked off your post about kiwi slang 😛 that made me laugh and made me hardout homesick! thanks again and happy travelling. Hi Amy, thanks for reading. 6 months here 6 months there is definitely possible! That’s actually an ideal lifestyle as you still get a home and community but always experiencing new places too. You can also have a permanent summer if you plan it right. Best of luck with your new ventures into online work! Hell i wish came across your blog, especially this post, while i was still jobless last year!! regardless, earning kachings consistently while NOT sitting in an office had always been my dream. & hell, i speak and write 2 languages with native proficiency, & had actually did translation work before!! & now, you’ve just shown me specifically how & where i can make use of my talents without keeping myself chained to an office. for that alone, i can’t thank you enough. even though my current lifestyle leaves little time for freelance work, i’ll keep your guidance here at heart and somehow squeeze time to start. hopefully, i’d be earning enough to confidently quit in three months. If you need some guidance as to how to set up a website just shoot me an email and I’ll see if I can help you out. Cheers and thanks for reading! It is the most helpful article I have ever read. Well I am from Pakistan and I am new on Elance. There is so much competition from India and Pakistan, also English is not my native language, how should I market my skills on Elance. Hi, if English is not your native language I think it would be tough for you to demand high rates for writing, unfortunately. Perhaps you could try alternative jobs such as transcription or typing – if you could do these jobs at a high quality and with a fast turnaround, you may be able to do very well. Transcription pays very well for those who can do a good job of it. It was based on this article alone that I jumped on to Elance three weeks back, so kudos to you for compelling writing. I’ve been applying to stuff within my main areas of expertise (Economics and games), as well as stuff tangential to that. Even got my first assignment ($10 woo) and first five-star feedback. Now, having been involved in it this long, I wonder how much time you personally spend on searching for and curating proposals. There’s a big opportunity cost involved, I find. Where I spend an hour or two a day searching for jobs and curating proposals, over the week it really catches up. Hopefully once I build additional profile I can start getting more of those invites. I spent a lot of time on proposals when I first started out, I was working on them almost non stop, doing it on my iphone on the train, waiting in line, lying in bed, pretty much any time I had a moment free. Plenty of new jobs go up every day so you really have an endless supply of jobs to apply for. You’ve just got ur first job and 5 stars, so I imagine things will get much easier for you now. That first client will probably have more work for you, and once you have 3 or 4 clients you probably won’t even need to use Elance at all! Remember, this is a business, and it will take a good investment of time and money before you get profitable. Anyway, grats on your first job! Mmm, having given it a real shot this past month I’m going to have to go and say that your experience might not be typical for others. I followed your advice and ultimately found it a waste of my time: lots of initial interest and enough invites to keep you tided over, but also lots of competition and flaky clients. Ultimately, eLance is just as fruitful as most job searching is. That is to say, not very, even when given a great amount of scrutiny and care. Sorry it hasn’t worked out for you. Have you developed a portfolio and were you giving free samples? It helps to market yourself as an expert in a niche (for example, for me it was accounting). I’ve had some great feedback on the above approach, so I know it’s working for many others. It’s a grind, but gets easier. Good luck if you decide to continue on! Yup, given out free work, underwrote hours – even bidding for unpopular work in the Economics space. Even an established portfolio of pre-Elance writing work, it hasn’t proven worthwhile. At least 40 hours of pitching over a month netted one $10 job, one disappearing client, and another person misrepresenting themselves and their rates. Sorry, but mileage totally varies. Not doubting that at all. I joined some freelance writing forums, and found people there that went months without getting anything, even after setting up their own websites etc. It does take time, more for some than others, and obviously some are not natural writers so need to take steps to improve, but if you stick at it you can definitely make a career out of it. It’s like any business, profits can be slow to build but once they do it’s totally worth it! Thanks for taking the time to share your experience, and best of luck if you do decide to continue. Wow bro, this is another great post about your freelancing experience! I’m more into looking for a great writer, rather than wanting to write for others. From your post here, I get to know how and what to look out for a great writer, thanks for sharing the tips. This is going to save me tons of headaches to weed out those mediocre writers that’s gonna bid for the job. Hi Aiden, yeah I’ve been on the hiring end too when getting design work done for this site and must say it’s not easy. Weeding through applications takes a lot of time and sometimes you can go through 50+ and still not find someone suitable! thank you so much for this post, I found your website by accident searching elance in google, and im glad i found this website. and your supportive way of writing gave me the boost i needed and confidence, i just felt like i can get a gig on elance, i tried a year ago and did not get one job. after i read your article i got the faith that i can do this, and i got my first gig the second job i applied for! yay ! I am a software developer (develop iOS(iPhone/iPad) apps), I have tried Elance, few months back I got just one project and completed it successfully. Got 5 stars but after then I didn’t get any job till now. I have tried a lot by giving low quotation and average quotation but I don’t know why I am not getting even a reply. While I develop well performing apps without any crashes or bugs. I am not getting that how can I let people know that I always provide quality work and get jobs on freelance and live my life freely and become boss of my own. Obviously I’m not well experienced in that niche, but my guess is you’d need a decent portfolio of apps to help sell yourself to clients, just like I needed a decent portfolio of articles. Do you have a collection of your apps that hirers can sample? Otherwise offering free work is usually a great way to get your foot in the door. Like I said, not my niche so things may work differently for you, but that’s my best guess. Good luck! I’ll give you one better on the “write for free” part. Set up a free account at constant-content.com. Then, as you bid for jobs on Elance and write freebie articles, the ones that are not chosen can be converted to PDF and saved to portfolio, AND THEN added to Constant Content to be sold (eventually.) No matter what, you can get paid and build your credibility. Win-win-win! Never heard of that site, thanks for sharing! What’s your experience there? Does the content usually get sold? I have had a really good experience on the site. There are some submission guidelines and editors who will request changes if there are misspellings or grammar errors in your articles, but I actually like that. I have sold all but one of my 48 submitted articles, but the timeframe for them to sell can be anything from a day to four months. That’s why it’s a great place to submit your unsold freebie articles so you aren’t sitting around biting your nails and waiting for something to sell. Great article bro!!! you killed it man!! Really Inspiration for Jr. like me . Though I m not the writer guy but really appreciate your effort and loved the way you won the bids on elance. waiting for another motivational article. This is a great article. I especially loved your idea about using proposals to build up a portfolio. I’ll definitely be putting that advice to use! Hi, unfortunately I don’t have any experience in that niche, but I’d guess it’s quite a hard one to secure high rates for. What exactly do your roles involve? Thanks for writing this article! I really loved seeing specific job descriptions and your exact proposals – so helpful. I opened an elance profile months ago and never even finished filling in all the white spaces! I have motivation now to give it a second go and then bid bid bid! Hi Rebecca, glad I could help. Let me know how you go. I’m a freelancer as well and is looking to try elance. Great read here. Love how you give some samples as well. Keep it up! hey it’s helpful to me. I’m a graphic designer.I’m really tired of the nine to five office workers living.so now i’m trying to be a full time freelancer,cause my ideal way of working is the side travel while working.but it just a begin,i don’t know if I succeeded, but I am now working on this. But the problem is, I quit my job and there is no source of income, I use the previous savings, current life stress is relatively large. So I gave myself three months, if not reach the goals set, i have to still looking for a job then to be a part time freelancer, and step by step towards a full-time freelancer,but it’s too long isn’t it? so do you have any suggestions for me? thanx bran for nice article! While it may be an innocent request, certain clients will gather up 10 samples from 10 bids and then never award the job. Why would they? They just received 10 “samples” they can use for free. I personally never give the client anything free and haven’t had a problem getting jobs off Elance that pay very well. My bid is consistently near the top or the top bid amount as listed in the “high-average-low” window at the top of the bidders. Granted there are a lot of jobs I don’t bid because they simply won’t pay what I charge. But there are other ways to get jobs on Elance instead of violating policies and giving away free work. Hi David, thanks for sharing. I wasn’t actually aware of this. However, it is still the best way I know how to get a foot in the door and I’d still recommend it for complete newbies (it becomes less necessary once you’ve built up feedback). I think you’ve got this backwards. That’s applies to Employers not Freelances. I’ve had an Employer ask me to write a sample article on a specific topic. Then I never heard from them again – the contract was never awarded but he got a bunch of free content. This is a cheap way of getting content from the Elance Board and they’re not supposed to do that (but it happens all the time). I’m with Bren on this one – There’s nothing wrong with writing a sample as a Freelancer. There can’t be – they let us post samples on our profile – they can’t control what topic we chose for our samples. It actually applies to both employer and freelancer. Employers are not to ask for free samples or mock ups and freelancers are not to offer or provide free samples or mock ups. You can find this in the Elance code of conduct. A portfolio is a sample of your work. Sure, you could have a sample in portfolio that is specific to your prospective client. That’s completely different from writing something for the client for free to try to get the job. Hence the reason Elance specifically forbids it in their policies. The bottom line is Elance owns the platform and they make the rules. Freelancers and employers should follow them or find another way to generate business or hire freelancers. If I give a client a free sample and he uses it without hiring me, that’s on me. If I put together a sample, I still own the copyright to it – I haven’t given the client the right to use it. But if he/she does use it, it’s my work that’s getting taken advantage of and I’m the one losing. I’m fine with that. Thanks Bren. It’s very helpful to me. If you are from India (or anywhere) and are making good money on Elance, more power to you. It is a generalisation of course, but from my experience clients generally avoid writers from India for higher level jobs. There are alway exceptions though. Best of luck to you. I was a little freaked out when I saw 500 word articles going for $2 on Elance. That’s less than 0.5 a penny per word. I don’t mean to be rude to other countries – but $2 is a lot of money in some places – not in Canada where I’m from. I try to get at least $100 for a post of 500 – 1000 words. That’s $0.10 – $0.20 USD per word – $0.10 in my minimum but if you charge that in Elance you never get a job, so I tried an houry rate. As a Urban Planner, which I am, I get $100.00 / hr. for writing I take $25.00 – $50.00 right now. Again, with Elance I will probably be lucky to get $15.00. I was on Elance in 2012 and I got a few decent contracts – I made about $500 in 6 weeks. But I gave up in disgust because I was only getting 1 project out of every 20 and I felt like I was wasting my time. I just signed up again at Elance – I like your strategy and I will try bidding what I’m worth (or what I think I m anyways.) and writing free articles to get work. Hi Sam, thanks for your comments. 20cents a word is a good rate and difficult to get to. But the value in this work isn’t the money exactly but more the location independence, which allows you to travel freely. I earn less than I did as an accountant, but the freedom is invaluable. Good luck with your Elance revivial, let us know how you go. Great artice. I just graduated with a degree in Spanish translation, and have recently begun trying my hand at the various freelancing sites- one of these beng Elance. I have bid like crazy on multiple jobs, to no avail. Hopefully your advice will work! The article, including your responses to some of the negative (& poory written) comments, makes perfect sense to me! Good luck! Translation is an interesting one, a bit different to writing but there’s a lot of demand, for Spanish particularly. Let me know how you go. Less than 48 hours after reading your article- I have my first job! And- it’s an ongoing one! Yes, it’s a low rate – translating 3-5 articles per day, 300 words ea, for $50/week. But that will make my car payment every month!! Thanks for the tips! Hi Michelle, that’s great. I would advise that you close the job asap, get the 5 stars, and then negotiate a higher rate going forward. It’s imperative you get the 5 stars first though, so that can’t be held over your head as leverage. And also imperative you do an amazing job – no mistakes, submit early, respond super quickly to emails etc. Getting the first job is the hardest part, so grats! I’m new to eLance and came across your article while looking for tips on how to improve my profile and earn jobs. Thank you for sharing, there are some great ideas here and I will definitely try them out. I have to say though, I’m tired of the generalisation that all Indians bid too low and speak English as their second language. Why? I’m a writer from India, English is my first and only fluent language (I would definitely fall under the native category), and I would never work at the rates you mentioned, but I’m guessing that I’m probably getting overlooked simply because I’m from India and these preconceived notions exist. I’m not for one second saying I deserve all the jobs I bid for, but I’m not sure I stand a fair shot either. Any thoughts on how I can stand out? I’d appreciate a little advice since I’m striking out with every proposal. This is a little black hat, but if you’re up for it, I would say your best shot is to change your location on Elance – put on your profile that you live in The UK or something. Elance does require verification though, so you may need to be “creative”. 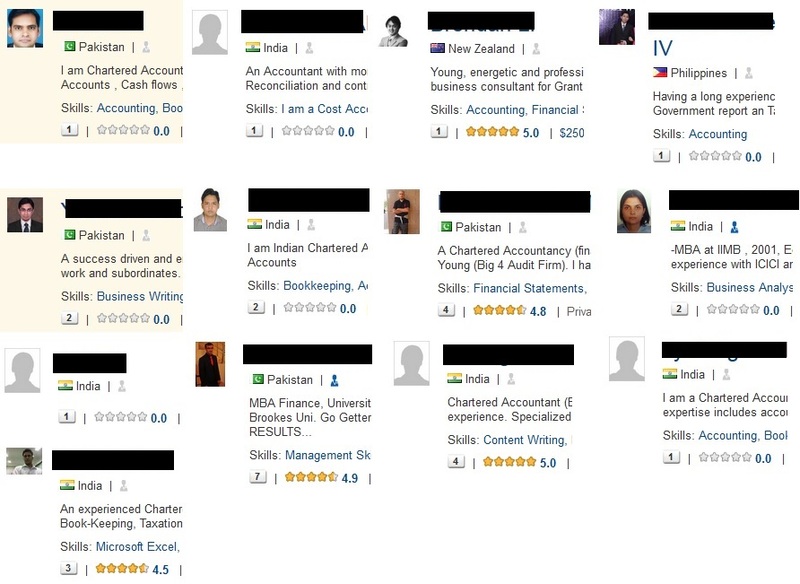 You are right though that you’re getting overlooked – when I did hiring on Elance I immediately filtered out all the India proposals – I had over 50 of them and I just didn’t have time to go through them all. It’s a tough one and not a problem I’ve really had to deal with, so I can’t speak from experience on this one unfortunately. Best of luck! Your idea is certainly different, but I’m not sure I could do that. If it ever came out that I lied about my location my credibility and reputation would be ruined, and I would certainly be banned. Plus, it’s dishonest, and I don’t want to go down that path. But on the bright side I did get two invitations to interview on oDesk (didn’t work out for various reasons), so at least there are some potential clients who are willing to consider writers from India. I’d say right now my best bet is that the first few lines of my profile should be just so good that people can’t ignore it, geographic location notwithstanding. You’re right, it’s far from perfect, but in the end the important thing is that you produce quality work. Location, in reality, is largely unimportant. For example, my profile says New Zealand, but I probably only spend one month a year in NZ. The rest of the year I spend working from other various countries around the world. Of course, you should do whatever feels right to you. Good luck! Good to see that you take a such a good start. Recently, my company (which is located in India) made an account in elance and looking to explore this platform so request to you please share your thoughts about what steps needs to be take care to break the zero. Did you read the article? It is basically one very long, detailed answer to your question. Hey, Brendan! Can you please comment on my profile. Hi Abdullah, you already have over 15 jobs most of which are 5 stars. I think you should be fine getting more clients! I’ve done everything you said and I still have not gotten a client. (I’ve been doing this for almost 3 months too). Could you please check out my link and give me some feedback on what I might be doing wrong? Hi Thiago. I would need to see your actual proposals before I could really give you any feedback. That’s where the job is won or lost. Feel free to email a few examples to me. I’ll send you some examples right away. All works out if you just give it time and a bit of work. See you up the ladder for sure! Congrats. Hello Bren, your article has been very helpful! I honestly wasn’t sure where to start from and how the hell to get my first job to get going, but the tricks with offering free work, how to set a price and analyse your competition are awesome. I just made my first proposal, for a very easy job. What I don’t understand, is: if you don’t get paid, how does Elance charge their fee? Elance only earns a fee off the the person who actually wins the job. You don’ get charged a fee for making proposals (is that your question?). Wow great article. Thanks for sharing with us. Sir need advise from you. I am in SEO field and 2 Year experience. Also have data entry exp. Sir today i make my account on elance but still dont have knowledge that how to take project. If i bid on your project i select. Then how i know that i am select. and how you give me project on elance. and what about payment. How can i withdraw my payment on my account from elance. Please provide me full detail as i am beginner and really want to do work on elance. It’s all very straightforward. You will get an email telling you if you’ve been awarded the job. You can withdraw your funds to Paypal or a bank account in your account section. You god-damn genius you. I’m currently in college studying economics and work a solid job at a major bank. My interest/knowledge in finance, economics, and business only gets me so far. I have been stimulated by the entreprenurs that have made a solid living or have been extremely successful in affiliate marketing, freelancing, online businesses etc. I want to break out of the standard normal US life and travel abroad while making good money on my own time. Using your tips on this site after researching ‘ways to make money online’ the past few weeks this seemed the most viable! I already have a skype meeting set up tonight and I literally signed up at 2 A.M. this morning. Thank you so much for giving me that extra push i needed. That’s awesome. 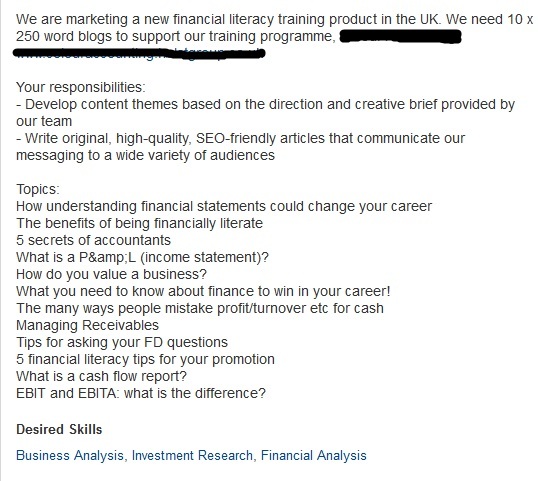 If you’re working in finance, I suspect you’ll do quite well. Financial writing is a lucrative niche as most with our skillset tend to stick within the lines and not branch out into writing. Just gotta keep at it. Grats on the great start and good luck going forward! I love your article. I gave up on Elance a while back but your article is giving me new hope really. I’m a native English speaker but I’m not a writer. How do I sharpen my writing skills to get good paying jobs? Are there any resources you recommend? I am trained in media (specifically radio broadcasting) but there isn’t anything really that matches that specific skill set on Elance. Writing is just a practice and usage skill so to improve I would just recommend writing as much as possible. Write a daily journal (or blog) and use a thesaurus to edit it and improve your vocabulary. 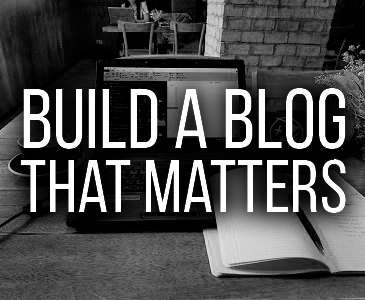 You could write for media blogs/schools or write for anything that you have an interest in. I didn’t “study” travel but I’ve written for various travel sites and blogs. Just a matter of writing content, grinding it out and finding clients! Awesome post! I sent bids to 5 jobs and got my first one! Its just a $30 gig to write a 300 to 400 word sales page but that is not bad. Plus after reading your post I couldn’t believe I got the job within just 5 bids. 1 in 5 is an excellent hit rate, and $30 to write 300 words is an excellent rate! That’s 10 cents a word – you can earn a full time income on that. Keep on grinding – I think you’ll do very well. First thing first, wowww! !…Not only impressed by your writing skills but your selfless way of sharing out your little secret to be successful in the world of web.I am a web developer and quite new to elance.While doing some research on elance I accidentally crashed in here(Didn’t knew crashes can also be joyful) and just want to share my thought in much more broader way and would love to learn from your experience. During your lazy hours if possible can you mail me personally on my email…love to connect with you.. I know you wrote this forever ago, but thanks so much! It’s more helpful than anything I’ve read so far. I did a search for “trouble winning jobs on Elance” out of desperation, and found your blog. When you can’t read what another person posts as their proposal, it can be hard to know (aside from price and their experience level) what you are actually competing against. You’re welcome, I wrote it a little while ago and I haven’t had to pitch on Elance for a while, but I would assume most of the advice still works. Put some proposals together and let me know how it goes. I’m here if you have any questions! I am new to Elance and I am currently bidding for data entry jobs. How do you go about the Approach to the job questions? Offer to do one or two hours for free as a trial. Then do a really, really good job. I am Kulojeet from Bangladesh.Today I learnt many things from different point of view.I am a freelancer but I am not a writer.I am a graphics designer at Elance.Like writing,designing is an another creative work,specially logo designing.I did my 1st logo at odesk and I was paid $7 for that.I submitted 14 different concepts and finally got 5 stars rating.But after reading your article I have come this point that I did mistake.I submitted 14 concepts but why?The answer is my concepts were not that much good.Again, why!!! Because It was all about $7 and its the worst prize.I know I deserved $70 but I didn’t asked and that was my mistake.I couldn’t give faith to my skill then how could my client? Thanks for your advice.I will follow your instruction in my next bid.As I am not a writer may be I did some mistakes in my comment.I apologize for that. Hi Kulojeet – hopefully you still got good feedback and you can use this to leverage your future projects. 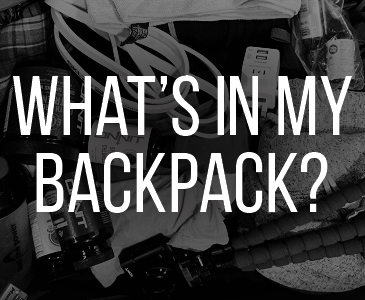 Try and charge what you’re worth from now on – you might be surprised how it works out. Good luck! What a great post,thanks for writing it. Cheers for this article Bren. Am finally making myself an Elance profile and wanted to hit you up for advice on a small point: do you think it matters whether you A. use your full name in your username and profile name display or B. choose a username without your surname and go for ‘display last initial only’? Ordinarily I’d prefer to err on the side of anonymity in online endeavours, but am wondering if it would be advantageous in this case to use your full name for the sake of professional credibility/building a name for yourself. Since I can’t tell what people are doing until I actually make the profile, do you have thoughts either way on this? Cheers! I only used initial for my last name. I don’t think it’ll matter too much if your work is good. I’ve hired people on Elance for various things and I never even thought to look at whether they used their real name or not. The deciding factor are your proposals – make sure they’re fire and you’ll get jobs! Excellent advice! Thanks so much! I found it helps to have a Word document with various phrases you can use while bidding. It can be customized for each job but it helps you come up with ideas on those days when you simply don’t know where to start. I just wanted to let you know that you’re still helping people two years later. I’m so grateful to you for writing this article. I set up an elance profile a couple of weeks ago, and have been pretty successful without even bidding that much. I followed your steps exactly and got my first bid at $15 bucks an article. I have never had to bid below $15 so far, and I recently got my first $30/article. I’m excited about continuing to raise my rates. I did have one question though. What are your thoughts on having your earnings displayed? Do you think it’s more beneficial to have them set to private, or does it even matter? I prefer to just leave it public, but I can’t imagine it matters too much. $30 an article is a great rate for starting out, well done. However, please bear in mind that being a native English speaker is not a guarantee that one’s English is perfect. In this article alone, I found more than a few grammar and spelling errors. You forgot to add a letter and to hyphen compound words. This was for a writing job, so write properly. Being a native English speaker certainly does not guarantee your English is perfect (nobody’s English is perfect), but it is a guarantee that more people will hire you. I’ve hired people for two or three writing jobs and I only ever considered native English speakers. There might be a chance there’s a great non-native English speaker somewhere out there, but the odds are so low that I don’t take my chances. I think most clients feel the same. It might be unfair but it’s the way it is. I had found this article a few weeks ago while browsing on web via my mobile. So I could not submit a comment at that time. 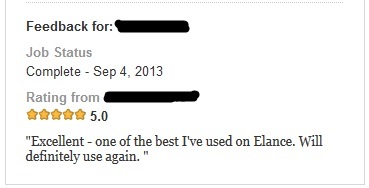 I’d been reading a lot of articles about freelancing on elance these days. So one thing I could say, your piece is by far the best article I’ve ever read in this topic. I could not believe that you posted here the exact proposal you submitted! Not many posts like this, because proposals are their trade secret. You made my day, man. Looks like an article that would probably change my life. You show your proposal and way of how to win bid on elance openly and it will help lot of new freelancers. That’s great. Good Work Bren. Many Thanks. Wow bren !! I have never got so much interest on any article except yours!! You are different and this is main thing you earned more 😀 cheers bro !! Haven’t looked at it yet. Can’t imagine much would change though. I saw your article and became inspired. I am also a freelancer based on elance. I work in sales & marketing sector. I like to work Instagram job. I am trying to get a job for a long time but not getting. would you please tell how I may write a good proposal for a Instagram job? Great article (funny too!). Thanks. Hey Ben — great article! Super helpful. I just have to ask, how do you see what other freelancers have bid on their proposals? I don’t see it anywhere! I’m not sure if it’s changed, but if you have a paid membership you can see the highest bid, lowest bid and average. Hahaha…your description about Indians bidding at dirt cheap prices and driving the competition out of business…I’m a gosh-darned Indian myself, with a level of fluency over the English language and an understanding of Latin-based languages at par with most “native-speakers” – and I still can’t get work! How in the name of Dante’s 9 Circles am I supposed to finance my dream of becoming an author, if I can’t financially support the scrawny internet connection I have! Someone gimme money! I want a Booker! Write an excellent proposal, bid high, sell yourself. You might even try changing your location information if possible to make a better first impression. In the end, you just need to experiment with different approaches and find something that works. Good luck! Really great article Bren, I enjoyed reading yours. I was working before on edesk but it has become crap these days. Your article inspired me to start on elnace. Thanks. -The amount that other freelancers have bid on a job is no longer visible unless you upgrade to Elance’s premium account for $10 a month. I’m considering this as it’s pretty difficult to price your bids when you have no idea what others are bidding. Seeing other people’s bid information was also reserved for premium members when I wrote this. I was able to see it because I paid the $10 upgrade, not so much to see other people’s bids, but just because I needed extra connects to submit more proposals (like I said, I submitted alot). Not surprised also that it’s becoming more popular. Congrats on your start and good luck! I asked a friend to link me to an online job and he copied me this link. I’m so inspired. i would love to do this and give it my all. Thanks to you. People with detailed knowledge of US stocks/world macro-economics might look at Seeking Alpha. USD35 per accepted article plus 1c per page view. Yes, have heard of them. Good tip. Any elaboration on this would be greatly appreciated. Hi Whitney. You’ll see in the first proposal I wrote a small sample for free at the bottom. It was in response to one of the article requirements listed in the job description. Also in the 3rd job I wrote an article for free. Your strategy is genius! Thanks for sharing your insights. I will definitely be trying out you approach! 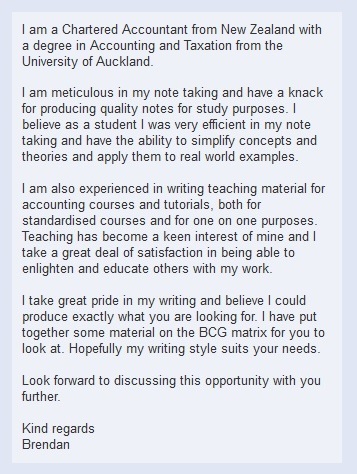 Although you said you didn’t have any writing experience before you are actually good at writing I guess. Are you an avid reader? No not particularly although I did enjoy writing at school. Would you recommend using a logo as a profile picture or would you use a picture that is similar to yours that you have in your blog? I have other people that help me with my work so I would like to present myself as a company that produces written content. Hi Albert, I’ve seen others do this and I guess it would work – I would search for some writing company profiles on Elance and see how they’ve been set up. I prefer to hire someone with a face I can see but it’s all personal preference. wtf man. the moment i decided to give up, u shine the light through my way. thanks a lot for that motherfuckingly good advice bro! LOL, Looks like some Indian people are really pissed about their behaviour on marketplaces. I am surprised that they are even defending their behaviour here. Fortunately! (or unfortunately) elance & odesk has marged to upwork. And on the new platform there is a more strict bid limit per month.And for more bids you need to spend quite some money which those so called freelancers can’t afford. Plus upwork hides the bids if they think the freelancer is unskilled about the job. Things been better there. Although I see thousands of Indian fake profile with pornstar’s avatar on freelancer.com bidding to win a bid (They certainly don’t have no idea about google image search I think). Great article. I am from India. I agree that people from developed countries may not be able to compete with the rates that we would offer. But, even with such rates, we could still make a decent living. Here in India, cost of living is not very high. The purpose of this comment is not to defend the rates that Indians offer. But I have observed some things in the blog which probably any Indian would. In your section “The ball starts rolling”, i noticed that out of the fourteen that you have applied for the gig, (granted that only you were a native English speaker) but, there was one of the contender who had graduated from IIMB. IIMB is the best institution in India. Its probably like how Harvard is to the Americans. Every Indian knows this. Now, considering that the clients were also from India, I am amazed that the lady with a degree from IIMB was not awarded the gig. Great advice Bren, and it totally confirms my own experience. This is pretty much what I did starting out on Upwork, freelance writing/editing part-time; being 100% professional has got me repeat work, recommendations and more interesting and lucrative jobs. I was amazed at how quickly it can grow if you do it properly, now I can hardly keep up. 10/10 etc. Thanks for this article, I’m reading it 2 years after you posted it and its still relevant. I’ve realized how lazy I’ve been. You had some very good suggestions that I’ll give a try today! Brendan, don’t you think today it’s becoming increasing harder to get work on Upwork as well as other outsourcing sites? Many freelancers decry too much competition. How can one get through this? I actually haven’t used the sites in a while but even though more freelancers are popping up there are more people outsourcing and looking online for staff so the supply side should be opening up too. I browse the sites now and then and there’s a lot of work out there. It’s all about trucking through and locking down one or two steady clients. Hey mate was very insightful to read your blog! Im in the process of elancing and bloggin in an attempt to leave my current job as well and your thoughts have been very inspirational! No pain no gain right? But what is that against living life on your on personal and professional terms 😉 Cheers once again! Hi Bren, This is the best article on Elance (now an Upwork company) that I’ve read. You’ve nailed the pricing question on the head. I wish I had read your article when it first came out because it would have saved me a lot of time and made me a lot of money. Now I have a nice collection of repeat clients on Elance and Upwork (they are still operating two separate platforms) that pay a fair price but it’s always fun to stretch for other areas (and more money). My latest gig is writing 3 ghost stories. A nice change from the standard travel, food, real estate, fitness and health niches. Also thanks for the airline tips. We just nailed some super cheap tickets on JetStar through Kayak down to Christchurch. Plus a great deal on a Buzza and whoa, thank you NZD exchange rate! I have one to add: If you get up to Honolulu (JetStar from Auckland) you can take advantage of the AAdvantage European travel award. Buy the points on sale from AA.com (usually Oct/November and February/March they have bonus sales) and then trade for the European Award. For the purposes of this award Hawaii is considered part of North America! What! The best deal is to stretch it all the way to Greece. You can fly on any American Airlines partners including US Airways, Air Berlin, etc.etc. We like to avoid British Airways because they add fees to your reward ticket. Right now you can get from Honolulu to Greece and back (or anywhere else in Europe) for about $1,000. The rules change from time to time but as of our most recent trip using this trick ( 2 months ago) you also get a free stop on your first North American stop on the return leg. Hey Gary thanks for the informative comment. I’ve heard of many travel hackers finding gold in Hawaii. Sounds like a sweet find! Thank you so much for this advice. I’m just getting started and this was exactly what I needed to figure out. 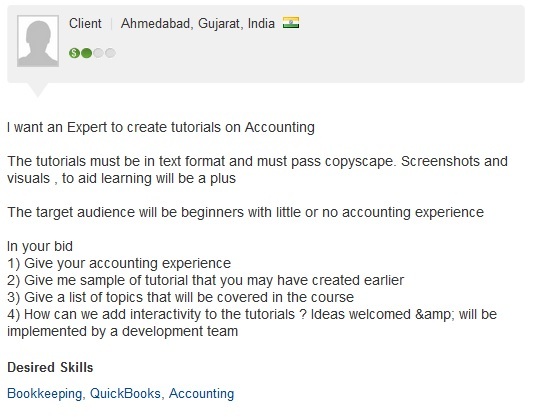 I am a Chartered Accountant From Pakistan.As you discuss above that it is tough for non English Speaker to work as freelance writer.I just want an advice from you that how can i utilize my Accounting skills to be Successful freelancer. Amazing advice Bren. As a blogger, I just happened to stumble upon freelancing opportunities that aligned well with my blogging experience. I can relate to much of what you stated, especially not fully knowing what to do in the beginning as a freelance writer but always providing my best work. I’d never considered writing for free to build my portfolio outside of my own blog (which I use often as a reference for my writing ability). This is great advice that I will return to often. You are such an inspiration. 🙂 Wishing you many more travels to come! Hi, i think it’s now old, can you share your experience about upwork. i was also there at elance but even not able to make 10% of elance monthly at upwork. No problem – good luck! Good article. Lol, yesterday I was dancing and jumping exactly like that man on the gif 🙂 1 month bidding, 50 bids and here is the first job at last. So so hard to get that first job. Nice job. Most people give up before placing 50 bids. Best of luck! This is an excellent article and so helpful. My brain was spinning round and round, trying to decide which site to sign up to, and how to get going, considering there are thousands of freelancers and thousands of jobs that pay a decent rate to a pittance. I didn’t have a plan, and now I do. Thanks very much. I’ve seen for one years this articles. I’ve been bidding on elance. But, can not get any project till. I don’t know what happened. Your proposal is good looking. very help me. Thanks Brendan! Next time someone says that it is impossible to make money on Upwork, I will just send them the link to your article. I have started in a very similar way to you, by putting a lot of effort into my proposals, and currently I am winning about every fourth of my bids and getting very good feedback most of the time (my rating is 4.99 after 40 jobs with 98% job success score after about two month). My advice is to take a look on the proposals/interviewing/hired stats at every job and don’t bid if someone is already hired. It is strange but a lot of jobs will remain listed even after someone is hired on them. Create a good search filter and bid on new jobs as quickly as possible (but take your time on writing a good proposal). If the client is still online when you place your bid then you have a great chance to get a message right after bidding. After reading your article, I registered on Upwork and now I’m working on my first job! Exciting! A very practical (and maybe boring) question: How do you do your taxes from UpWork work? I’m currently based in New Zealand and find it all very confusing… Cheers! I can’t give individual tax advice, but I suggest you include the income in your personal tax return, under overseas income. You can claim expenses. Just came across your article today. It was truly informative and I did get plenty of tips. I hope implementing them can overcome the prejudices of job posters. As an Indian writer, fluent in English, I find it frustrating to be filtered out only on the basis of my location. Indeed, and I am not talking about jobs that explicitly ask for native writers — I haven’t bid for any of them, even though I’m fluent enough. In your experience do prospective clients look at skill tests on UpWork? Besides building up a portfolio, would decent performance on skill tests improve one’s chances of getting a job? I am looking at ways to overcome this issue. Also, merely wondering, are you still doing freelance work on UpWork? No, I’m now just focused on my blog and with a few select clients. Thank you so much for your article, I just bumped into it. I’m fairly new in upwork and never made a kill despite submitting many proposals. I’ve realized jobs are quite competitive. I haven’t considered writing until just now when I’ve read your article. I’ll definitely try it. I’m hoping with all your tips I’ll be able to get somewhere and hopefully make an income like you did in your first month or more! Thank you. I saw somebody say you are advertising. BIG NO! This article gives only room for hard work. I second you on the fact that some of us are good at jobs, others are yet to get there. Learning and improving on ones skills is very important. You say the truth and yet take no credit for it. Do you know someone would be selling your advise, yet you give it us for free, and I love i, we love it. The fact that you stress the need for effort and commitment is very encouraging to me. My fellow upworkers, hard work pays. Thanks a Lot Brendan,i was really disappointed from Upwork( I did not get the single job from there) i lost the my confidence but reading your article, i am so exited to apply the jobs with more efforts. Hi Bren been wanting to sign up on upwork as a freelance writer,thing is reading your story has taken my ambition to do so overboard, thanks alot for the info. I have heard so many bad things about Upwork. I wonder if it has changed much, since Elance. I was also wondering, what are your thoughts on Danny Margulies course for Upwork? worth buying? I am reading this nearly 3 years after you wrote it, but the ideas you present here still stand on their own. I guess I have been living under a rock as I am just now setting up an Upwork account now. My plan is to jump in with both feet just like you did and go above-and-beyond to get those first few clients to take a chance on me. The idea of giving away free/sample work is a great one! Thanks for all of the solid advice here. This article changed my perception, i read each advice again and again and started rolling, its been a good start, the thing i have trouble the most is having clients rating me badly. This has affected my overall rating from a 96% to 76%, how can i push it back up? The advice for getting good ratings is all in the article. Good luck. Hey Bren ! Loved this article. You share facts without trying to sell a dream. You stayed determined and motivated and this is what it is all about. I would like to keep in touch to share my experience ! You sound awfully racist by assuming that people from India or the Philippines are not proficient in English. I didn’t say they’re not proficient, I said they’re probably not native speakers. It might interest you to know that there have been many non-native speakers who have won the Nobel Prize in Literature while writing in English. Fyi, English, like any other language, is a learnable skill – you’re not born with a mastery of the language. I am from India and I can tell you that what you said about us Indians and the Filipinos is absolutely true! In fact at one point, even I had tried my hand at freelance writing. Though I failed miserably, I can’t deny that I had bid as low as I could for every other writing job that I could find (I know…. Don’t even bother asking me what I was thinking). To be honest, I loved your application of the age-old strategy of Skim Pricing (penetrating the market by providing a premium product at a significantly higher price). I envy the fact that you applied one of the most trivial (and usually by-hearted) concepts of Business Studies, in such a beautiful manner, and actually made something out of it. Congrats to you on that! Nevertheless, I enjoyed your writing style and the way you have expressed your experience and how you went about the career change from Grant Thornton to Freelance Writer. It was a truly enriching read and I was able to relate to you and your experience very much. That may be because of the fact that I am also a part-qualified accountant by profession. The fact that I work in the Indian counterpart of the firm where you worked, may also be a contributing factor. It is a shame that I am reading this article nearly 4 years after you wrote it. Wish I had done so earlier. Now, that I am done boring you with praise, I’ve got a couple of questions for you. 1. Though I am an Indian, the one language that comes to me naturally is English. Given that I’ve been brought up in a bunch of places (Saudi Arabia, Bahrain and various parts of India), my primary language has always been English. In this case, I’m curious as to whether my nationality would become a barrier for getting jobs that require English to be a native language of the writer. What do you think? What would you suggest? 2. I am told that I have an innate ability to write articles, but personally I prefer to write poetry. So I was wondering if you have ever come across any such “Write poetry and get paid” opportunities, either on Elance or any other web sites. If you have, could you suggest something of the sort? Also, I know a 422 word comment is a bit too long, but I really couldn’t help it. Either way, thank you in advance, for the advice. Poetry, like most art forms, is particularly difficult to get paid to do. Most people on Upwork will have no need to poetry. To monetise that sort of endeavour, you are best to start a blog of some sort, and see if it is appreciated. As for your nationality, honestly yes it will probably hinder you a bit, although if you write excellent proposals you will probably land some work. Have you read my article about building your own niche sites? If you’re a good writer, that’s probably a better option – write articles to build your own business, rather than someone else’s. Good luck. Hi Bren, what an amazing article. Just today I had logged in to upwork and was trying to get a hang of it. But I got stuck at “submit proposal”. And that’s how I landed here at your blog to seek help. It showed that you need some “connects,”. What’s that? How to proceed further! It seems that you can also use building niche websites as a way to build your freelance portfolio. Both great articles BTW! Your article is a great guide and motivation for beginners in the world of online freelance. This was a great article and it has given me motivation! 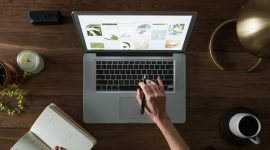 Do you have a post or tips about building a top notch profile on Upwork?